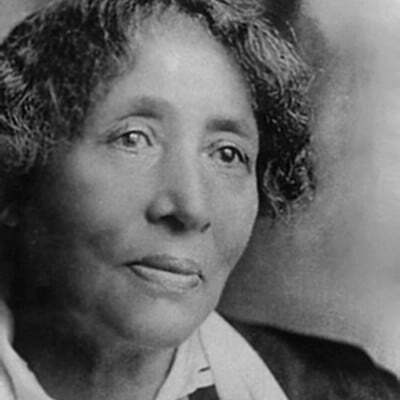 During the late-Nineteenth-Century struggles against America’s Robber Barons and the Ku Klux Klan, Lucy Gonzales Parsons was a brave fighter for human rights. By then, Chicago’s wealthy industrial and banking elite had targeted Albert and other radical figures for elimination — to decapitate the growing union movement. A protest rally called by Albert a few days after May Day became known as the Haymarket Riot when seven Chicago policemen died in a bomb blast. No evidence has ever been found pointing to those who made or detonated the bomb, but Parsons and seven immigrant union leaders were arrested. Lucy, far from discouraged, accelerated her actions. Though she had lost Albert — and two years later lost her young daughter to illness — Lucy continued her crusade against capitalism and war, and to exonerate “the Haymarket Martyrs.” She led poor women into rich neighborhoods “to confront the rich on their doorsteps,” challenged politicians at public meetings, marched on picket lines, and continued to address and write political tracts for workers’ groups far beyond Chicago.